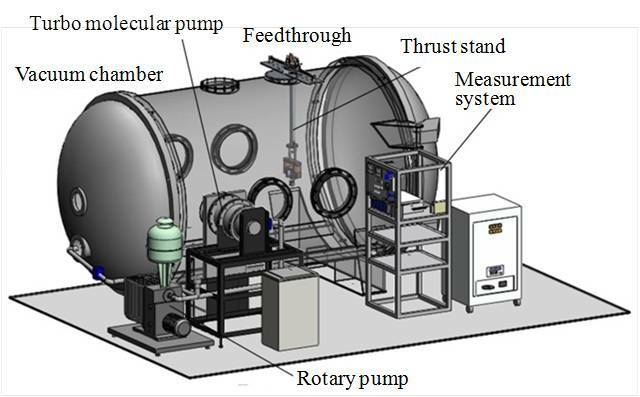 About 10-3Pa vacuum pressure can be generated . 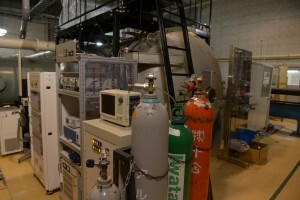 It is used for the experiment for MPD thruster, and for damp tank for super sonic wind tunnel. 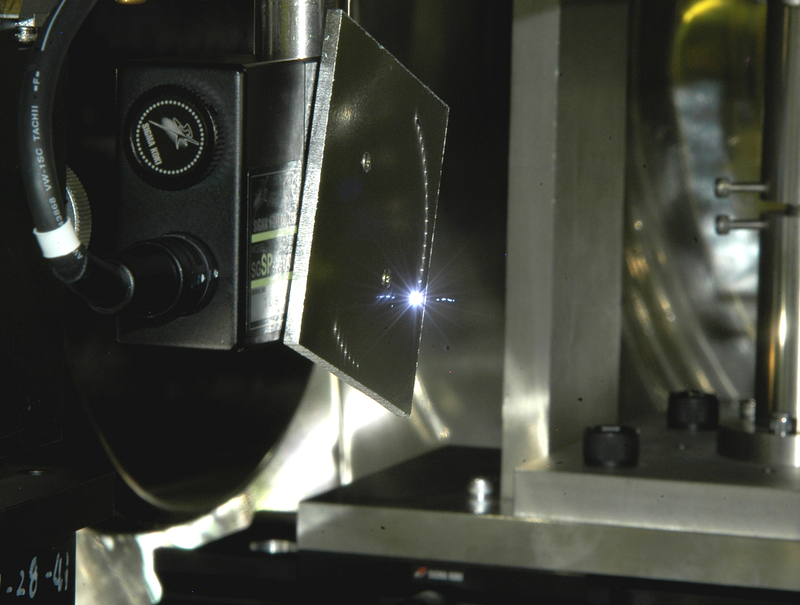 We can measure the mN level thrust using pendulum type thrust stand under the operation in the pressure about 10-3Pa. About 10-3 to 10-2Pa vacuum pressure can be generated and keeped by dry pomp and cryo pomp. 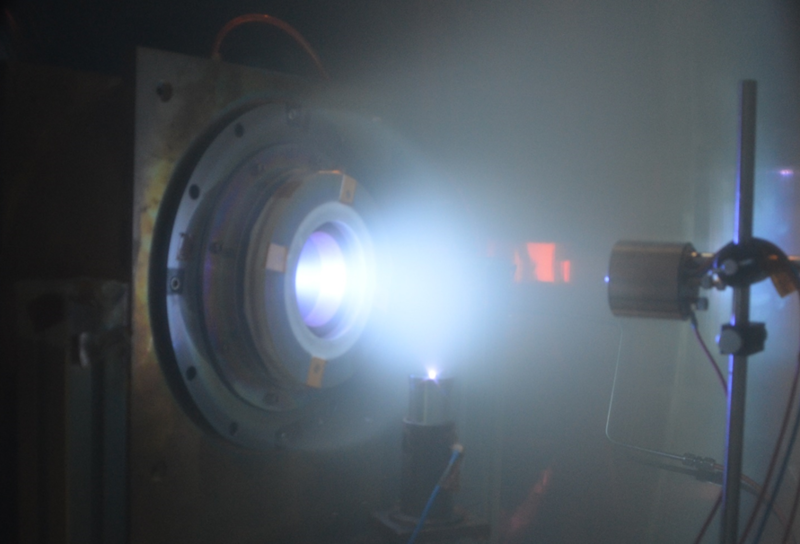 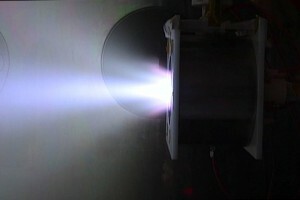 It is used for the experiment of Helicon Electrostatic thruster(HEST). 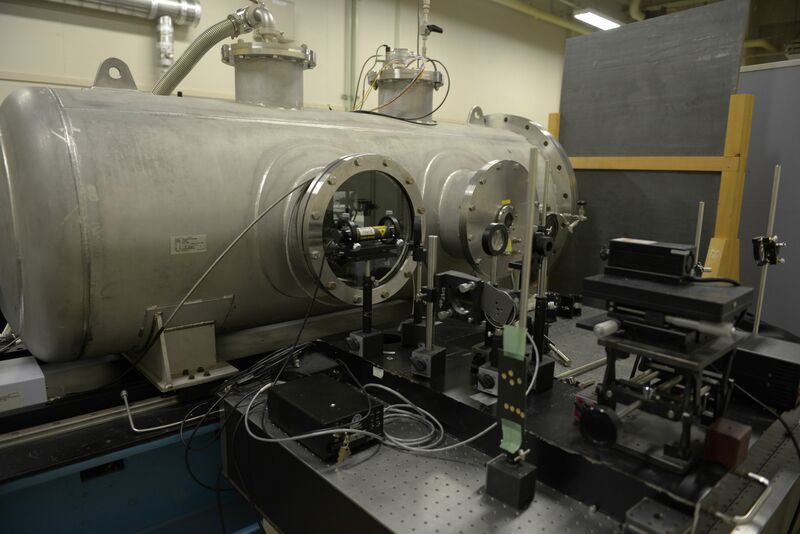 We can measure the ion energy, ion beam current, and so on. 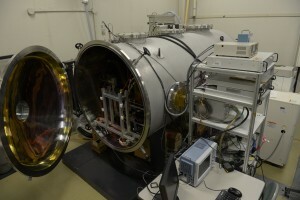 We are going to measure the thrust in future. 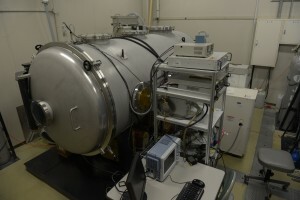 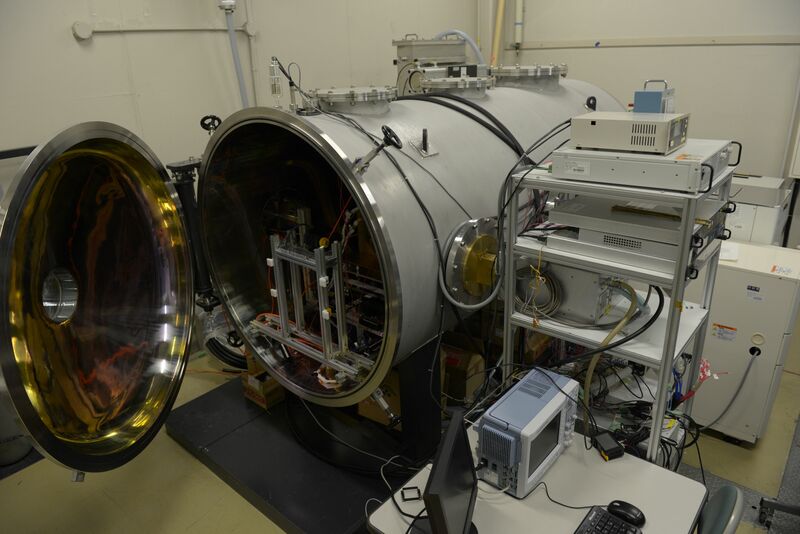 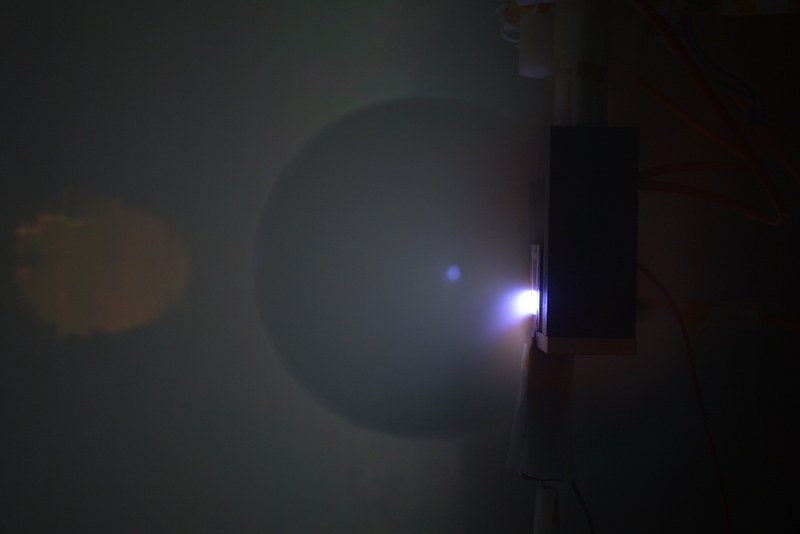 About 10-2Pa vacuum pressure can be generated.It is used for the experiment for laser propulsion. Impulse of laser ablation can be measured with a torsion type pendulum installed in the vacuum chamber. The precision of the measurement is μNs level.